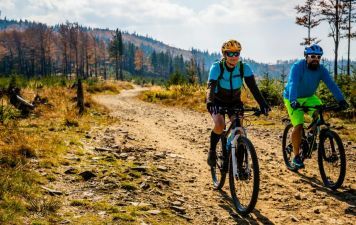 Specially designed with big adventures in mind, our range of treks and cycling trips have been carefully put together for the true adventurer. This is the perfect trek for those who would like to experience some of the best trekking trails on the planet in short period of time without the demanding impact of high-altitude ascents. 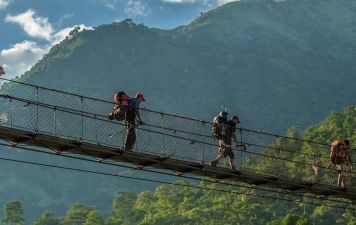 Trekking the Annapurna Region is one of the most jaw-dropping and stunning places in Nepal, you’ll be absolutely captivated by the area from the very first day. The journey into this area offers a window into traditional culture and lifestyles of the Annapurna Ranges in the Himalayas. Kilimanjaro (5895m) is Africa’s highest mountain and the highest “free standing” mountain in the world, where huge permanent glaciers flow down from the summit. Spectacular views and beautiful ice formations are the reward for the successful trekker, as well as the satisfaction of ‘topping out’ this mighty peak of Africa. 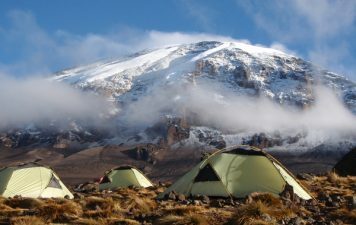 Any reasonably fit person who enjoys walking can reach the summit of Kilimanjaro, our itinerary is designed to give you the best chance of reaching the summit. Exploring Sri Lanka on two wheels is the greatest way to see this rural country and to experience its friendly people. This ride covers a substantial part of the island from north to south taking in as much as possible of the scenic and cultural variety that Sri Lanka has to offer. Ladakh provides some of the most beautiful and rewarding mountain trekking in the world. 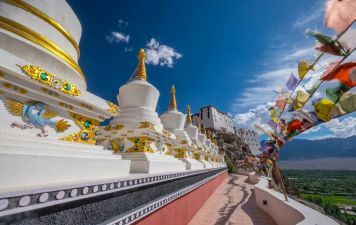 Trek the Markha Valley through remote villages and over high passes to Base Camp and our night-time ascent of Stok Kangri (6153m), where we should be rewarded with sunrise views over the Himalayas and Karakoram Mountains. Stok Kangri is one of the most accessible 6000m peaks in the world. If there’s one country that has every possible challenge for a great adventure it has to be Costa Rica with a tropical climate that supports an incredible biodiversity encompassing thick rain forest, mangrove swamp and a handful of live volcanoes, the result is a destination made for adventure. 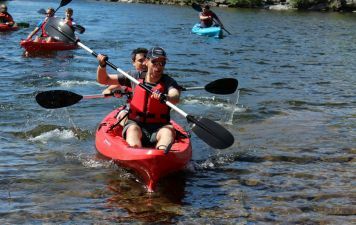 Hike, bike, kayak and whitewater raft from the Pacific Ocean to the Caribbean Sea. This is the perfect opportunity to be an Arctic explorer, Snow shoeing the Kings Trail. 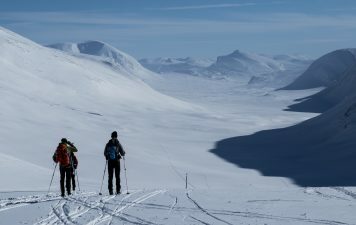 In the extreme north of Sweden, 180kms inside the Arctic Circle hides one of the most remote wilderness treks in Europe, Kungsleden, the “Kings Trail,” Your winter snowshoe expedition begins in Abisko, home to one of Sweden’s oldest National Parks. Famous for being one of the best places on earth to view the Northern Lights. 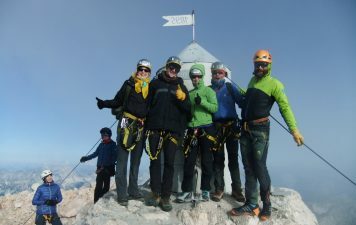 Summit Mt Triglav, Slovenia’s highest peak in a weekend. This fantastic trek takes you on a stunning journey across the Julian Alps of Slovenia. 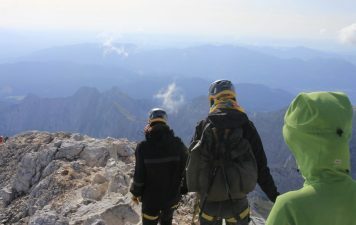 The climb to the summit of Triglav is outstanding and excitingly airy along a breath-taking trail which offers some brilliant scrambling and sections of via ferrata. Explore Lake Bled, stroll or cycle around the lake shore and enjoying lunch in one of many restaurants. This fantastic hut-to-hut trek takes you on a stunning journey across the Julian Alps of Slovenia to the summit of Mt Triglav at 2,864 metres! Straddling Italy and Slovenia the beautiful Julian Alps offers some of the most impressive mountain scenery in Europe.The climb to the summit of Triglav is outstanding and excitingly airy along a breath-taking trail which offers some brilliant scrambling and sections of via ferrata. 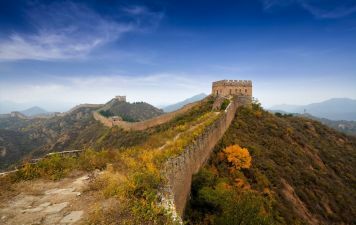 Stepping out across the peaceful semi-ruin of a section of the Great Wall is like walking in the footsteps of the past. Far from the tourist crowds we are able to get a great sense of the scale and the majesty of this remarkable piece of engineering without rushing through.Trekking various contrasting sections of the wall, we get closer to day-to-day life in rural China before returning to Beijing. 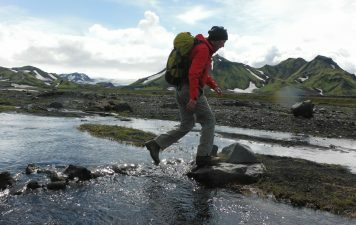 The Iceland Laugavegur Trek is a wonderful and wild trek amongst the unique landscapes of Iceland and one of the most spectacular wilderness treks in Europe. From the modern city of Reykjavik to the volcanoes, glaciers, waterfalls and steaming lava fields of the interior, Iceland is a country of great contrast. Our trekking route will take us through one of the most actively volcanic areas in Iceland. 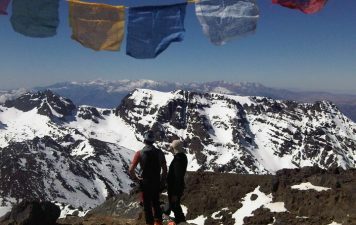 Winter is a great time in the Mt Toubkal National Park it offers a true winter mountaineering experience the mountains are virtually deserted apart from the local Berbers and mountaineering enthusiasts. 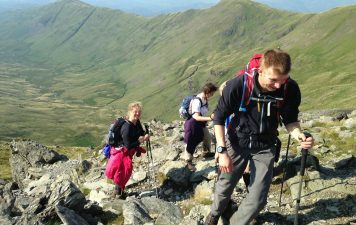 Our Winter climb is great introduction to winter walking, this trip is designed as a non-technical winter climb. Some winter walking experience is recommended before joining this trip but not essential. 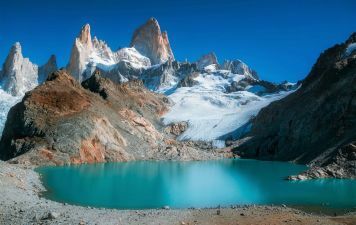 Experience the breathtaking landscapes of Patagonia as we explore this beautiful region trekking for 7 days through the Fitz Roy Range in Argentina with its sheer granite towers, sweeping glaciers and bright blue lakes. Visit Perito Moreno Glacier and watch huge icebergs calving from the glacier into Lake Argentino. Finally Exploring the cosmopolitan capital city of Buenos Aires, visiting the Plaza de Mayo and colourful La Boca district. 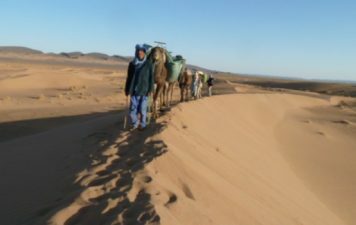 This exciting Sahara trek takes us to one the most remote and southern areas of the Moroccan Sahara, bordering Algeria this is a true desert wilderness. 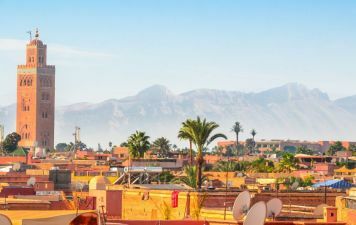 Trekking an area in its natural state untouched by humans is a rare and humbling experience, Once you’ve tasted the exhilaration of trekking for days through the Sahara desert you’ll never want to leave. Designed by our local Berber guides to give you the most challenging and enjoyable trek possible in this spectacular desert. Trekking in Morocco has to be one of the best ways to discover this intoxicating country. 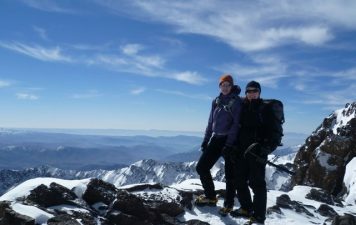 This 7 day winter ascent of North Africa’s highest mountains. 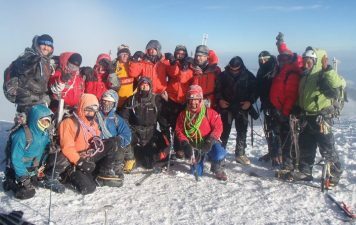 Climbing Mt Toubkal (4167m) and Quanoukrim (4088m) is an exhilarating trek that requires little winter mountaineering experience but rewards you with truly outstanding panoramic views of the High Atlas. 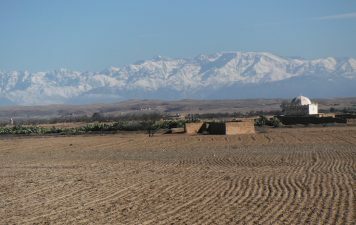 This 10 day trip offers a unique expedition trekking through the High Atlas Mountains with a local Berber family and their livestock as they make their bi- annual journey between summer and winter pastures. Our May departure involves bringing the livestock up into the High Atlas, the September departure involves bringing them down to the edges of the Sahara desert. Cotopaxi volcano is also considered as the most beautiful and symmetrically perfect mountain cone in the world. Packed with activity and variety, this expedition enables you to experience the landscape, culture and people of the smallest Andean country. Tackle the best volcanos in Ecuador famously renowned as the ‘Avenue of Volcanoes’ with a careful program to assist acclimatisation and ensure you the best chance of success.